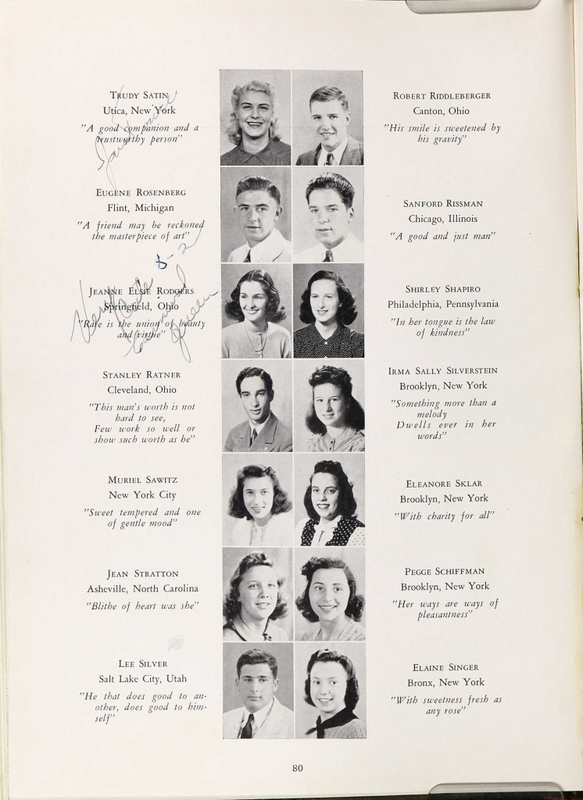 A page from the yearbook of Miami Beach Senior High School in Miami Beach, Florida. A notable individual shown on this page is Captain Lee Silver (ca. 1922-1945). Capt. Silver was born to in Salt Lake City, Utah, to Herman Silver and Bertha Silver, around 1922-1923. His parents were Herman Silver and Bertha Silver. By 1940, the Silver family had migrated to Miami, Florida, where Lee attended Miami Beach Senior High School. During World War II, Capt. Silver served in Company G, of the 42nd Infantry Division (42ID)'s 232rd Infantry Regiment. He died near the Haardt Mountains of France on February 23, 1945, and was awarded a Silver Star and a Purple Heart. Capt. Silver is currently buried at Epinal American Cemetery and Memorial in Dinozé, France, with a Star of David headstone, indicating Jewish heritage. Digital reproduction of original yearbook page: (Miami Beach, FL: Miami Beach Senior High School, 1940). http://search.ancestry.com/cgi-bin/sse.dll?indiv=1&dbid=1265&h=99580447&ssrc=pt&tid=89418910&pid=46594276673&usePUB=true. Originally published by Miami Beach Senior High School. Copyright to this resource is held by Miami Beach Senior High School and is provided here by RICHES of Central Florida for educational purposes only. "Capt Lee Silver." Find A Grave. Accessed March 20, 2016. http://www.findagrave.com/cgi-bin/fg.cgi?page=gr&GSln=silver&GSfn=lee&GSbyrel=all&GSdyrel=all&GScntry=7&GSob=n&GRid=56375510&df=all&. "Lee Silver." National Archives and Records Administration. Accessed March 20, 2016. https://familysearch.org/ark:/61903/1:1:VTHZ-V67. Daly, Hugh C. 42nd "Rainbow" Infantry Division; A Combat History of World War II. Baton Rouge, La: Army & Navy Pub. Co, 1946. https://archive.org/details/42ndRainbowInfantryDivisionACombatHistoryOfWorldWarIi. 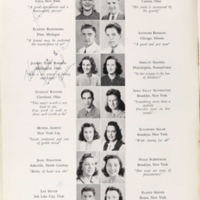 “Miami Beach Senior High School Yearbook.” RICHES of Central Florida accessed April 21, 2019, https://richesmi.cah.ucf.edu/omeka/items/show/6922.